We work alongside Westminster Professional Indemnity Insurance to provide insurance for baby massage instructors, baby yoga instructors, massage and yoga for children and when working with women in pregnancy and the post natal period. Westminster Professional Indemnity Insurance provides cover for all our courses. It is easy to apply for cover online. 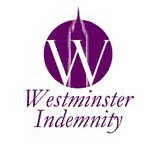 Click here for more details of Westminster Professional Indemnity’s policies….